Zoos are facilities which provide education, recreation, study and nature conservation, and make people think of nature, and keep animals which mainly inhabit the wild. Whereas, livestock are raised and kept at experiment stations, universities, laboratories or stock farms and you normally have to visit stock farms to see them. “Livestock” has a different purpose from that of “wild animals”, and now efficient selective breeding is the subject of the study. How about the animals called native livestock? They are not kept at those places because there’s no economic advantage unless they are the subject of a study, and livestock farmers usually don’t keep them either. Even those who like to keep animals hardly keep native livestock because they are not normally as cute, obedient, healing, or easy to breed as other animals. Furthermore, they can be a genetic and cultural resource and are the ancestor of the most improved varieties, which the Food Agriculture Organization of the United Nations warns the diversity, still the native livestock are rare to be bred. The native livestock have minimum effects of selective breeding such as crossbreeding, and for their existence, they need the cultural element such as ethnic and religious views and other elements like breeding environment and nature. They now remain because of the breeding style which is rooted on the areas. Improved varieties for livestock products such as meat, milk and eggs, were established during the Industrial Revolution and the agricultural revolution of the late 18th century. People around the world wanted efficiency and convenience. 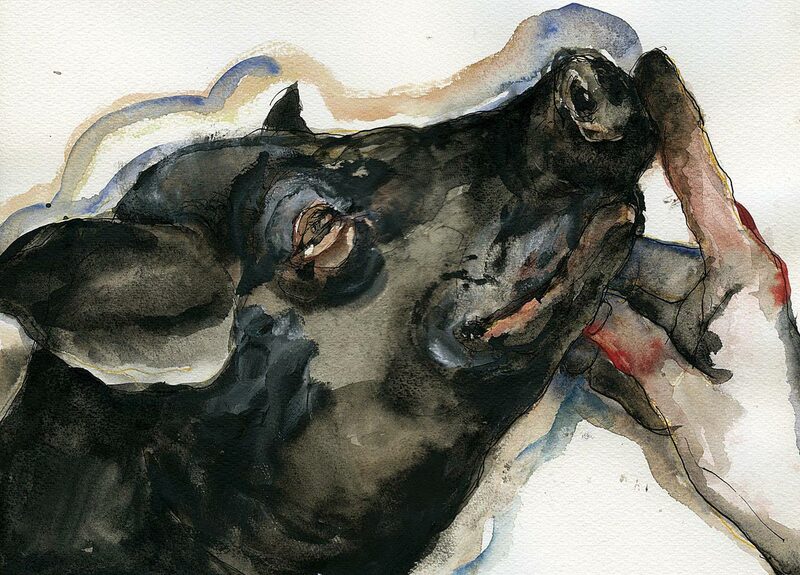 Traditionally, people used native livestock as draft animals or offerings, and because of their inefficiency and small value, the number declined. Only a few exist now and they survived because they lived in the isolated areas or they weren’t affected by improved breeds for reasons such as regional customs. Livestock live with people, but if people and society don’t need them anymore, they will be weeded out, even though they have served people for a long time. It depends on their value whether they can survive or not. There are a few zoos now that keep and exhibit such native livestock as a genetic and cultural treasure. 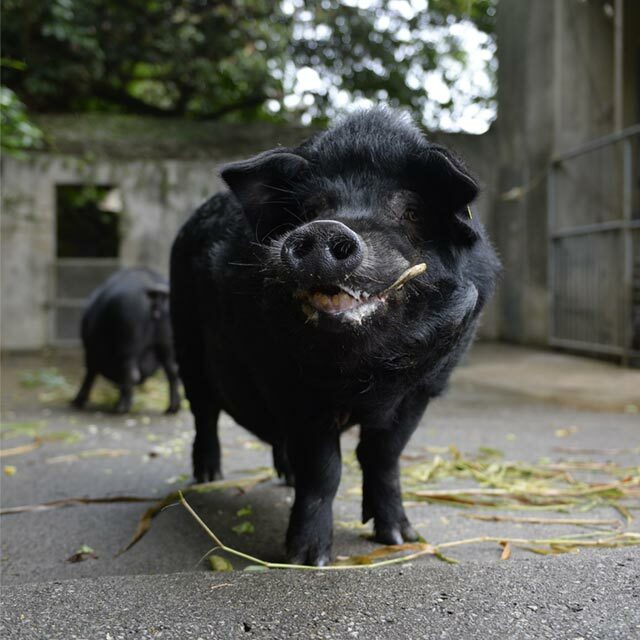 Among them, Ueno Zoological Gardens took the lead and started keeping livestock with the consideration of the animal’s role. 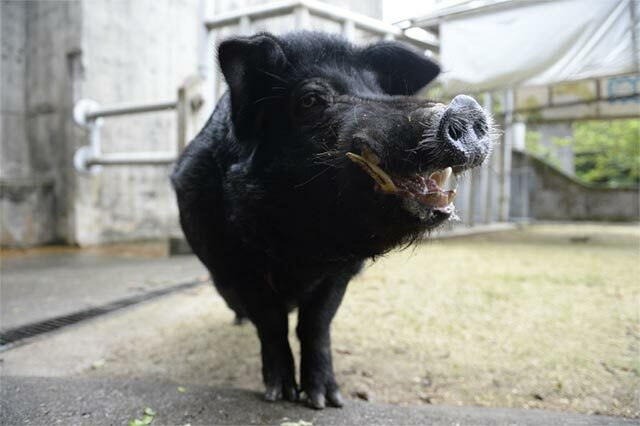 Mr. Teruyuki Komiya, who became the director in August, 2004, gathered native livestock with a different perspective from that of petting zoos. This influenced other zoos, and they started seeing the importance of the native livestock in each area. 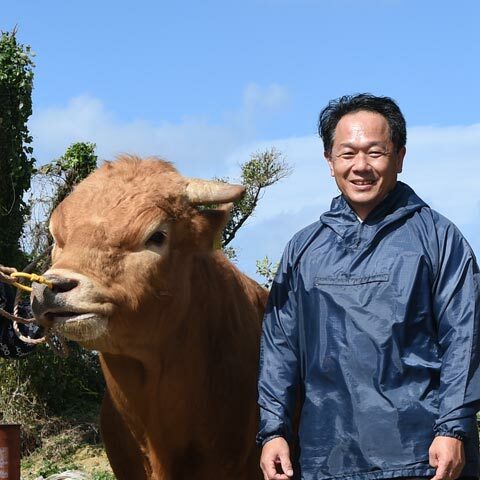 As for me, besides working as a director of the Okinawa Zoo and Museum, I am a full-time farmer and make a living as a stock farmer. I was born in Shinagawa, Tokyo and I used to visit Ueno Zoo as if it were my garden. I was interested in domestic animals and was determined to be a farmer and moved to Okinawa 33 years ago. I remember my amazement when I saw a horse pulling a sled full of sugar canes back then. 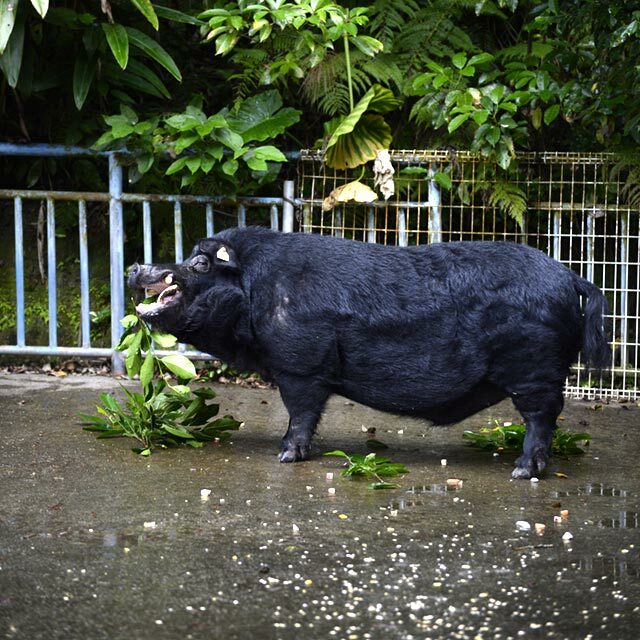 Okinawa has a lot of ceremonies and livestock meats are served in celebration events, sacrifices, appreciation parties, memorial services, and so on. 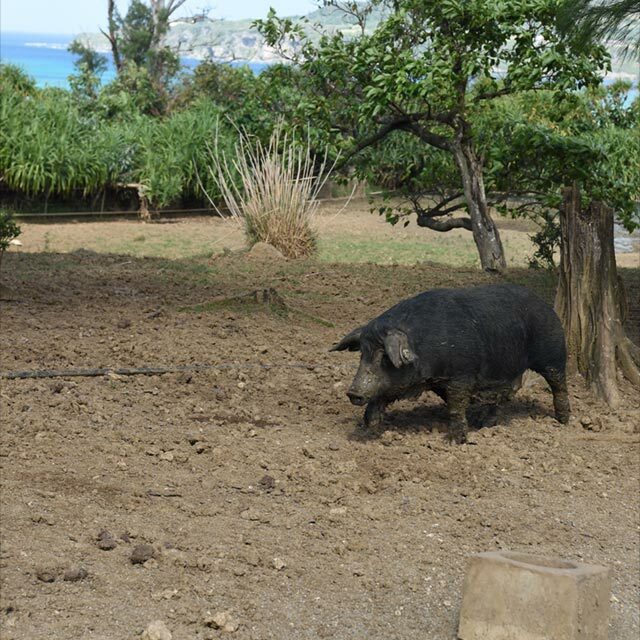 Now pork and goat meat are mainly served in Okinawa. Pork is normally served in the regular events such as the new year and the Qingming Festival, and goat meat are served in special events like a framework-raising ceremony and a celebration of passing an exam or election. They both are served in the events but not in regular meals. They have a different nutrition and are served in different occasions. Even though the custom remains, the existence of native livestock are hanging by a thread, because now improved varieties are used in those ceremonies instead of the native livestock. 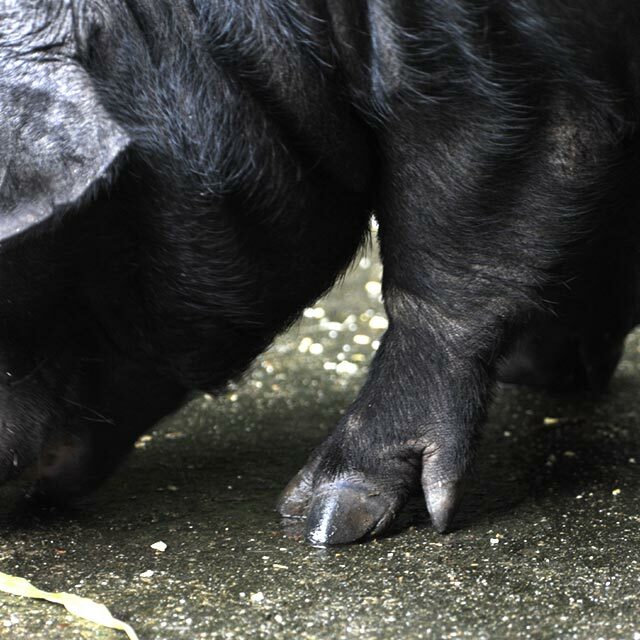 The Agu pork, which we recently hear about, has black hair but doesn’t have the physiology or ecology of the native pig in Eastern Asia. It originated from cross breeding of improved varieties. 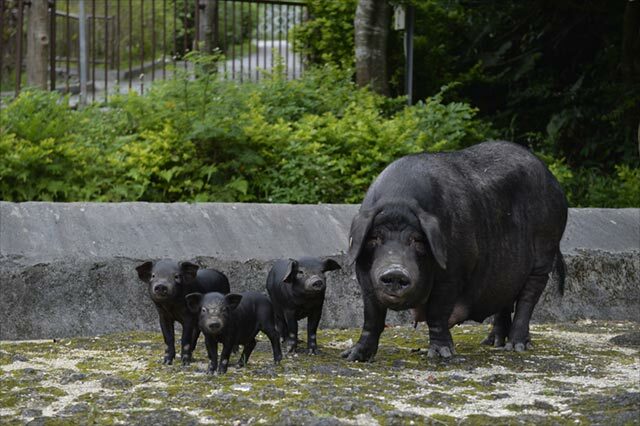 The population of the Agu pig increased explosively after being established as brand value and having a high price. I see some dealers use the word “native” to add a value, so consumers think that they are valuable and rare. I guess economic value does exceed biological and cultural values. Zoos can’t display the domestic animals which were cross bred as a pure breed. 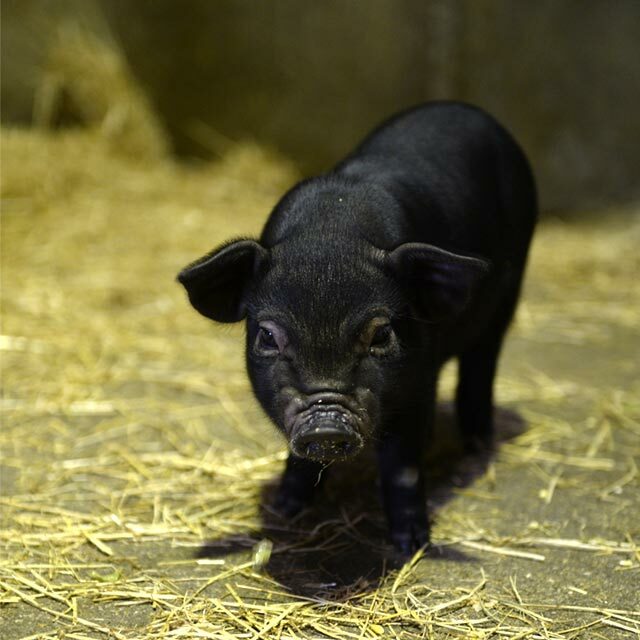 We could keep them in petting zoos but they are not the most popular animals, so they are only kept for a certain time like the year of those animals in the 12-year Chinese zodiac. Zoos are the only facilities that can keep and exhibit the native livestock not only because of the economical value and production efficiency, but because of their different perspective. The native livestock can be an economical and a local resource depending on how you utilize them. I hope more zoos and aquariums will keep those livestock which only remain in Japan. Copyrights © 2016 Doubutsu-no-kuni All Rights Reserved. The content of this website is protected under copyright law, and all illegal reproduction or duplication is strictly prohibited.